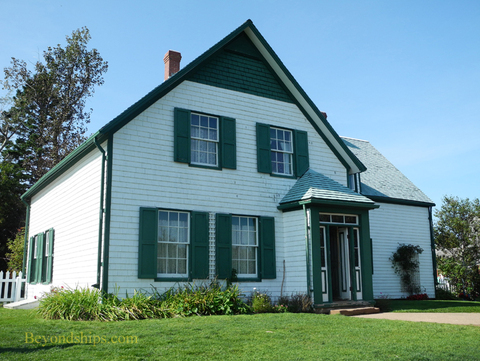 While Prince Edward Island has other attractions and things to do, the Green Gables Heritage Place is by far the island's most popular attraction. Accordingly, almost every cruise ship calling at Charlottetown offers a visit to the home of Anne of Green Gables. Anne of Green Gables is the title character in a series of books written by Lucy Maud Montgomery about an orphan girl who goes to live on a farm on Prince Edward Island around the turn of the century. 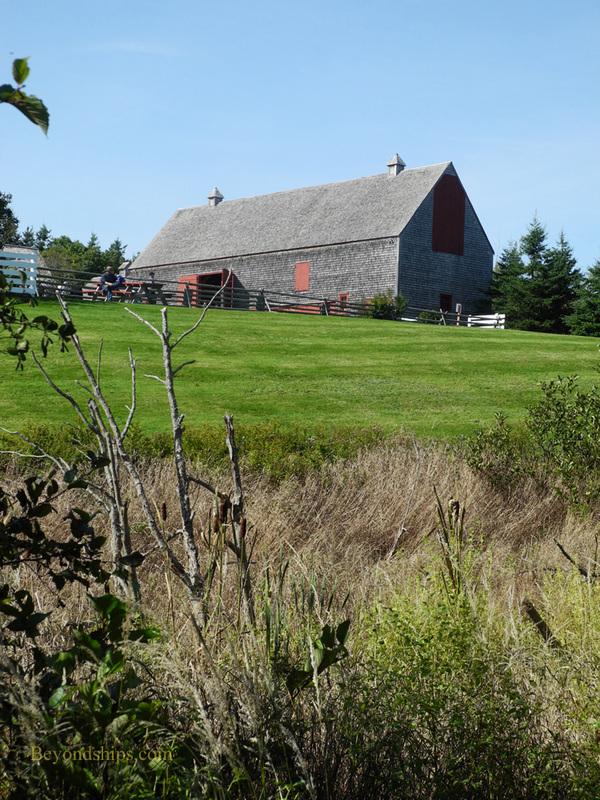 Montgomery grew up in PEI and a neighboring farm that belonged to cousins of her grandfather was the primary inspiration for the farm on which the novels are set. 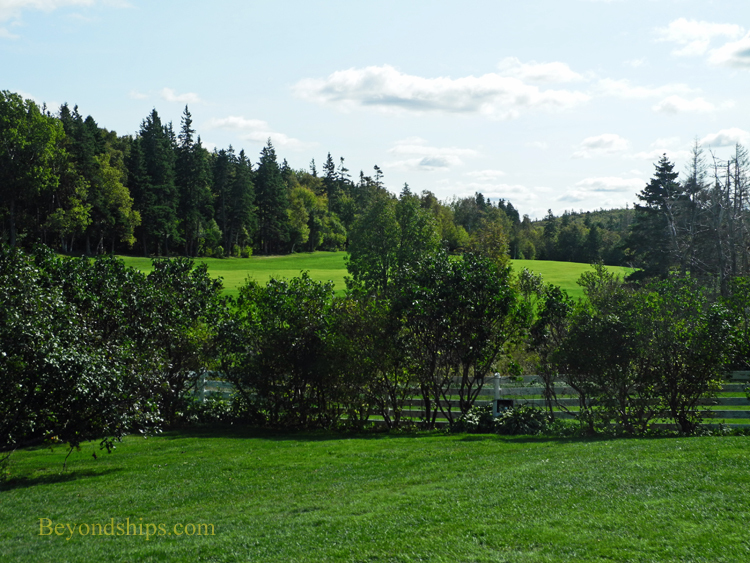 The Cuthbert Farm, as it was known, is now the Green Gables Heritage Place. It is part of Prince Edward Island National Park and is administered by Parks Canada. The site includes a visitor center where you can see a short film about Montgomery as well as a few exhibits relating to her life. There is also a gift shop and a cafe. The remainder of the property including the house, the barn, out buildings and the surrounding woods are very much geared to the Anne story. For example, the rooms in the house are done as if they actually belonged to the characters in the story. One room is specicially Anne's bedroom, one belongs to Marilla and one to Matthew. Of course, the characters were not real people and so what you see is an interpretation of how the characters would have lived. The rooms are furnished with period pieces and successfully evoke the atmosphere created by Montgomery. Indeed, I did not hear any of the many visitors who were there when I visited the site say "It is not what I imagined." Instead, I heard people point out with pleasure various little details that are described in the story. Anne of Green Gables has millions of fans worldwide. For example, it is required reading in schools in Japan. However, you do not have to be a fan in order to enjoy a visit to the site. First, the site has a charming beauty. It is set on the top of a gentle rise and is surrounded by woodland interspersed with rolling green fields. The well-maintained Victorian house and the other buildings, the white fences and the garden look like something out of a storybook, which of course they are. You can also walk along the paths through the woods. A rustic wooden bridge takes you over a winding creek. 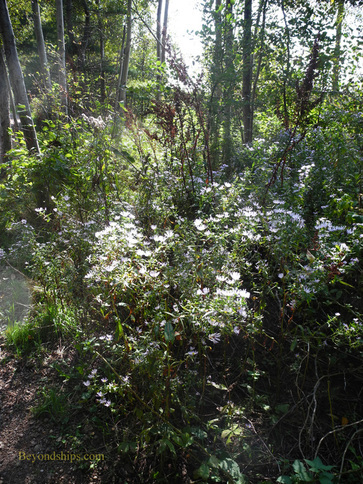 Wild flowers bloom in the shade of the trees. Occasionally, the trees part to reveal a field or somewhat disconcerting, a fairway of the neighboring golf course, one of many on PEI. The site is also of interest from a historical persepctive. Exhibits relate what you see at the site to what life was like on a farm at the turn of the century.